Evolution Mining has overcome a series of “unanticipated events” at the company’s gold mines to keep its production on track to reach guidance this financial year. 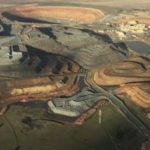 The company today reported in a quarterly update that a stator failure at the Cowal mine in New South Wales led to unplanned downtime of the site’s SAG mill in December. Evolution’s output was also impacted at the Mungari mine in Western Australia by restricted access to the high-grade Mist zone at the operation. The two events added to a move to process ore from low grade stockpiles at Mt Rawdon in Queensland, dropping Evolution below its forecasted production for the quarter. Evolution managed 181,996 ounces during the quarter, down on the 200,218 ounces it produced in the September quarter. 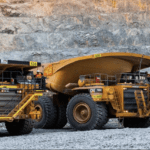 Its guidance for the 2019 financial year remains at between 720,000–770,000 ounces, a figure the company expects to comfortably meet. A positive development for Evolution during the quarter was the progress it made on major capital works at the Cowal mine. 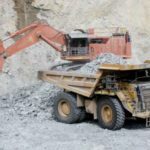 “The float tails leach project construction was completed in December with first gold pour expected in January 2019,” Evolution said in an ASX announcement. The Cowal mine, Evolution’s largest operation, produced 58,244 ounces in the December quarter, which was a fall from the 61,260 ounces it recorded in the previous quarter due to the SAG mill issue. Evolution, which has fully rectified the issue at Cowal, expects its company-wide production in the March quarter to be similar to what it delivered during the December period.